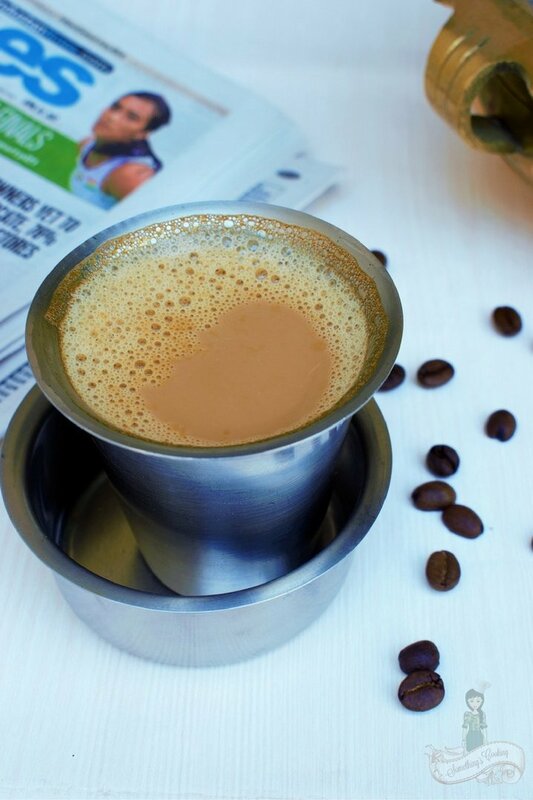 Brewed in a coffee filter, South Indian Filter Coffee is my absolute favorite. It is popular in South India and is usually served in a tumbler and davara/dabarah as shown in the picture. I am a coffee lover, someone who has 6-7 cups of coffee every day and can be named an addict. 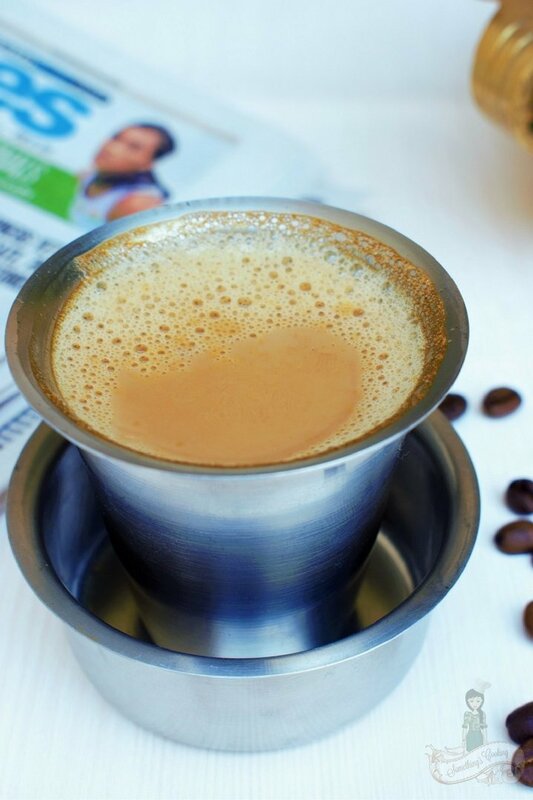 There is no looking back when it comes to any type of coffee but give me a tumbler of hot, frothy Kaapi and you’ll be my favorite person in the world! 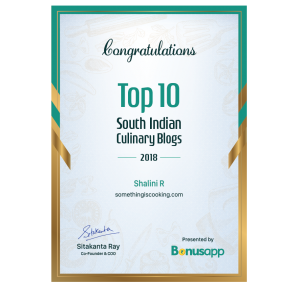 The South Indian Coffee Filter is available on stores. It is a two piece container, the upper part with holes to add the coffee powder and the lower part to collect the decoction. It also has a pressing disc and center handle to level and press the coffee powder. Preparing an instant coffee is easy when compared to filter coffee. But the taste, flavor, and aroma it gives is worth taking the time. My Dad and husband who are tea lovers, also love their occasional cups of filter coffee. 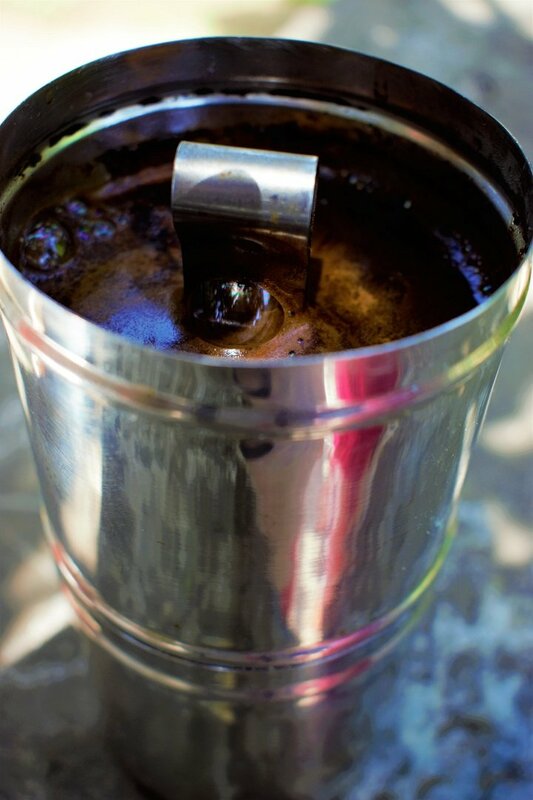 Add filter coffee powder to the upper part of the container and pour boiling water on to it. Put the pressing lid so that the decoction drops and gets collected in the lower part of the container. Keep it undisturbed for 15-20 mins. Add to boiled milk with sugar. The flavor largely depends on the type of ground coffee used. My favorites include the local brands Bru and Narasus. Add coffee powder in the upper part of the filter. Even it out and add the pressing disc with the handle. Boil water and pour in the upper part till it's almost full. Cover with the lid and keep aside for 15-20 mins. The decoction gets collected in the lower part of the filter. Pour the required decoction in a tumbler and add milk. Add more decoction if you want strong coffee. Always use fresh ingredients – be it the coffee powder, milk or the prepared decoction. While 3-4 teaspoons of coffee powder give you strong coffee, 1 1/2 teaspoon is enough for a mild one. Do you know why we serve in a tumbler and davara? Sugar is usually added to the tumbler than to the milk while boiling. The decoction and milk are then poured into the tumbler. This mixture is poured onto the davara and into the tumbler, back and forth, until sugar is dissolved and the milk and decoction are mixed well, resulting in a delicious tumbler of filter kaapi. Filter kaapi is my favourite coffee ever! When my parents visited in 2012, I had them bring over 3 kgs of the coffee. Then in 2015 when I went to Canada and met them there, they brought a couple of kilos over. It’s the one thing I desperately miss from India! I have the Coffee filter but it’s no use at the moment. And as for the coffee itself, my parents go to this south Indian store in Bombay to buy it — so it’s not Bru or Nespresso but it’s awesome! I’ve tried making filter coffee several times, but it somehow doesn’t turn out well. Will try this method and see! I didn’t realize the utensil at the bottom had a name! I love filter coffee, but don’t prepare it at home. Tried slow boiling instant coffee and adding milk, but that wasn’t the same. I cannot live without filter coffee, I love it and would be ready anytime of the day for a cup. I too relish filter coffee! Or any coffee for that matter! I love coffee and can have it at any hour of the day. I haven’t ever tried making Filter coffee but reading your recipe, I’m intrigued now. Oh we get it a lot here in Bangalore.But I never tried it at home. I dont like very bitter coffee but my hubby loves it. I’m not familiar with this type of coffee preparation. I bet it’s a lot better than K-Cup coffee though (I could have used that for a K post, come to think of it). Pinned. Have to mention this.. Love the effort for the pics in these series. Big thumbs up. My mom’s very fond of the South Indian Filter coffee, I like it some times but I am more of a cream indulgent person! 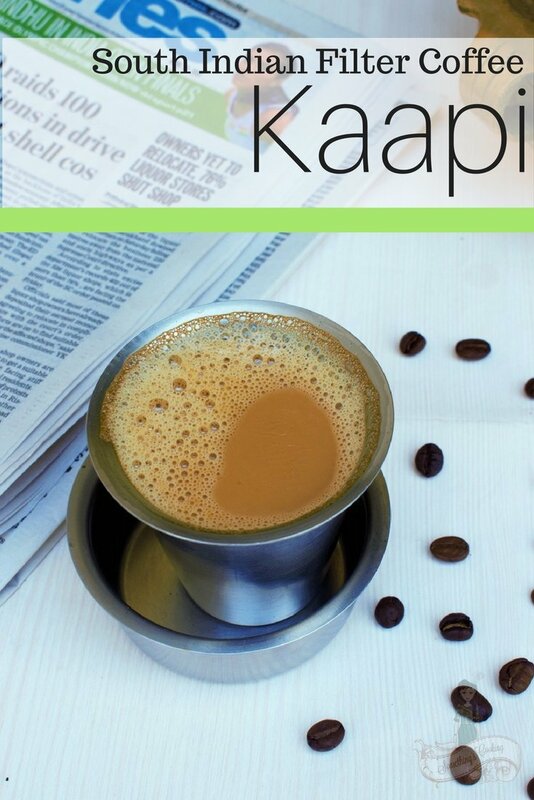 MMMM, I loved reading about this coffee or Kaapi as you call it. Sounds delicious. I am a coffee addict, too and drink loads of the stuff, nice and dark. I especially like Starbucks more than Tim Hortons, the other popular coffee chain here in Canada. Wish Starbucks would serve Kaapi. This sounds so good. Love how you boil the milk like you do for the tea and add sugar. YUM! I make my own coffee, either single ones in the espresso maker or with a paper cone filter in a pot to make more cups. I like to add flavoured syrup to jazz it up. How boring it sounds compared to Kaapi! The mindblowing Filter Kaapi was one of the most memorable things that happened to me during my 10-year stay in Bangalore. I loved it so much that I have bought a filter & still make filter coffee. Also bought some lovely coffee powder on my last trip to Chikkamagalur. Lovely article!! !